Luda’s lead single, ‘How Low,’ from the Battle of the Sexes has been a welcome return to his signature sound. Everything is there, funky beats, kiddy chorus and comedic timing. Using a Kids At The Bar sample, Basic Physics turns the song into hit for the dance floor. This is probably the most techno of a song that I’ve posted on SILS but I think it’s well produced and highly energetic. Also check out some of Basic’s other remixes on SoundCloud. Zach Caraher is a hip hop producer/musician from Philly. 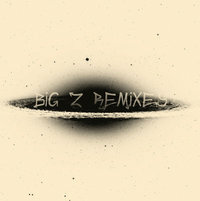 Under the moniker, Big Z Remixes, he released a new mixtape, Tell It Like It Is. The near flawless remix-collection features Jay-Z, Kanye West, Luda, Lil’ Wayne and Passion Pit. Check out the chilled-out remixes of Jay-Z and Luda below. The mixtape is available for free: download it here or visit his site for more music.